BSAVA is delighted to open the student bursary for BSAVA Congress 2018. 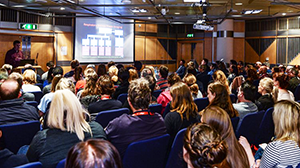 This unique opportunity offers 50 places for final and penultimate year veterinary students in the UK and Ireland to attend Congress for free and receive support towards travel and accommodation. Click here to find out more and apply today. Make sure you complete your application by the 15th December.